Kalamazoo, MI: On Monday, May 16, 2016 at approximately 08:30am, Kalamazoo Public Safety received two tips regarding illegal drug sales occurring from a vehicle in the 3600 block of E Cork. Officers responded to the area and located the suspect vehicle parked in a parking lot of a local business. The vehicle’s passenger, a 27 year-old Kalamazoo resident, was found to have several warrants for her arrest. The suspect attempted to resist, but was taken into custody by officers. 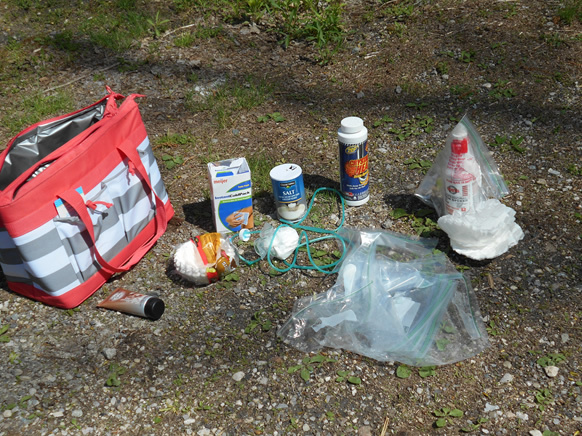 Further investigation found multiple components used in the manufacturing of methamphetamine inside the vehicle. Additionally, over $500 worth of stolen merchandise from several stores in both Kalamazoo County and Allegan County was located. 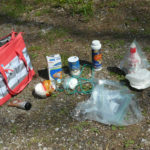 The suspect was arrested on multiple charges to include Operating and Maintaining a Meth Lab, Resisting and Obstructing Arrest, Possession of Methamphetamine, and Receiving and Concealing Stolen Property. The suspect was lodged at the Kalamazoo County Jail. Anyone with further information on this investigation is asked to contact Kalamazoo Public Safety at 337-8994, Silent Observer at 343-2100, or use the web at www.kalamazoosilentobserver.com.